When a man beds many women he is called a player, and it is ok for men. When a woman beds many men she is called a hoe and let me tell you it is hard to get away from that unfavorable reputation. Shanae Alexander is a very popular girl. Shanae doesn’t have many female friends but she has stacked up the male friends and she keeps them coming back for more. Maxine is Shanae’s one female friend and she tries to keep her out of trouble but as they say, girls just want to have fun! Is all that fun going to be enough for Shanae in the long run or is Shanae going to need more? Melanie Robinson is Shanae’s older more responsible sister who always keeps Shanae out of trouble. Melanie is the total opposite of Shanae but has no problem taking care of family. When Shanae brings this latest and biggest problem, is this something that Melanie can fix or will Shanae have to take care of it on her own? 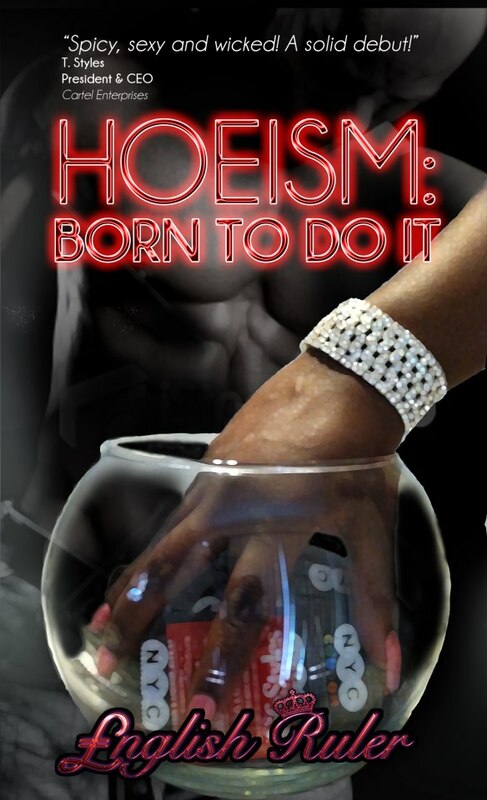 Hoeism is the debut novel for English Ruler and I thoroughly enjoyed it! It gives you drama, romance, suspense, it just takes you on a rollercoaster ride of emotions! I like that there was a six degrees of separation element in there connecting some of the characters and usage of current up-to-date technology. I look forward to a sequel and future works from this author. Great start to your writing career, keep up the great job! Hoeism can be purchased through Amazon.com.